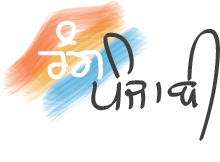 “If you want to do something for society, you need hard work,” Darwin taxi driver, Tejinder Singh said. To feed the needy, hungry and homeless in Darwin; a migrant Indian taxi driver has turned a racist cab fare experience into a monthly quest. Tejinder Singh and his three family members save $1 each a day so they can spend the last Sunday of every month handing out kilos of rice and chickpeas from a van.He is migrants from Punjab,India. He encounters racism from cab customers due to the black turban worn for his religion. 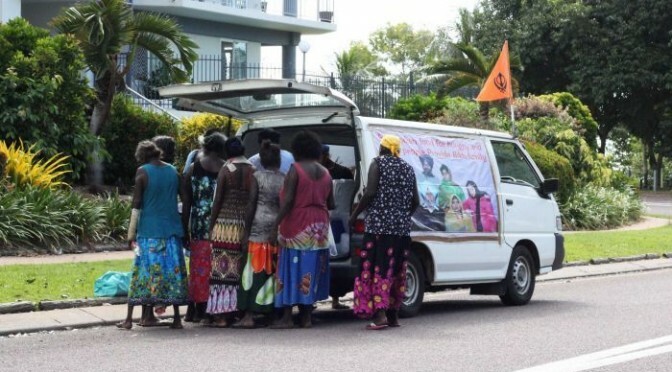 Mr Singh launched his food van for the hungry in Darwin, to help the community to not be so afraid of his turban. “Our religion says 10 per cent [of your income goes towards] the needy, poor, who need help, no matter if they follow your religion, I try to follow my religion.” he said. Mr Singh had just finished cooks 30kg or more of food for his monthly Sunday rounds. He had been driving his cab the night before and had not slept before cooking up vats of chickpeas, rice and peas in his backyard. “It’s amazing how he does it. He drives for 12 hours in the night and then five hours cooking around a gas stove. “Mr Singh sometimes spends several hours searching for people who might be hungry. The food mostly ends up in the stomachs of long grassers in Darwin’s northern suburbs, but Mr Singh said he does not discriminate. “I want to help needy people. Anybody, no matter black, no matter white, no religion,” he said.